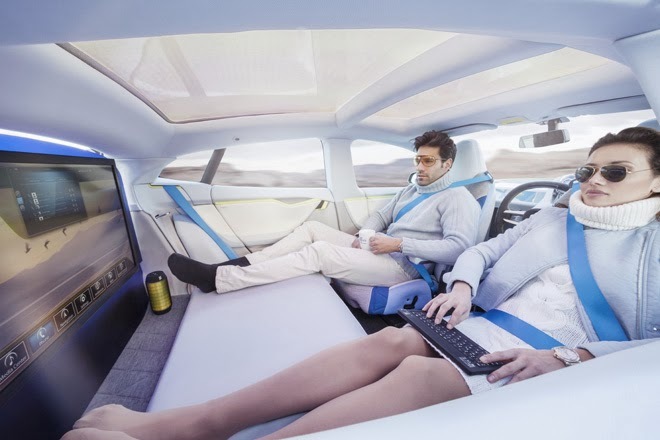 [ #Automotive #Tech ]Swiss automobile manufacturer Rinspeed unveiled a self-driving concept car that hides inside a mobile office. 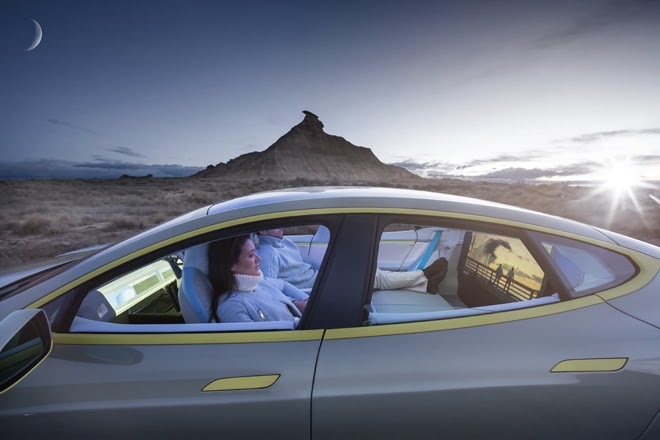 To create the XchangE car concept, designers at Rinspeed took a standard Tesla Model S sedan and redesigned it to give an idea of what a driverless car in the future might look and feel like. 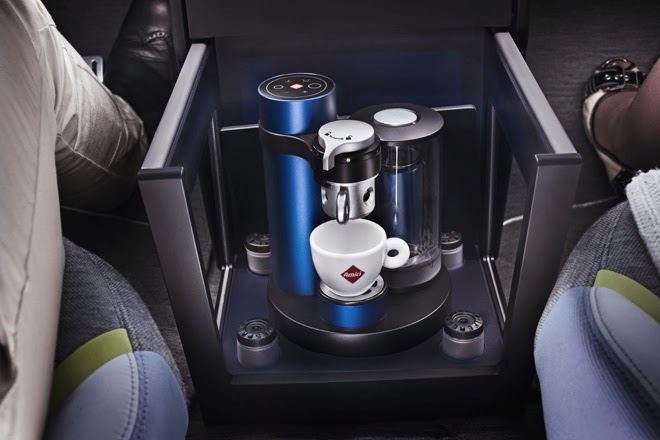 The vehicle features all-new seats reminiscent of the relaxing business-class seats of major airlines. 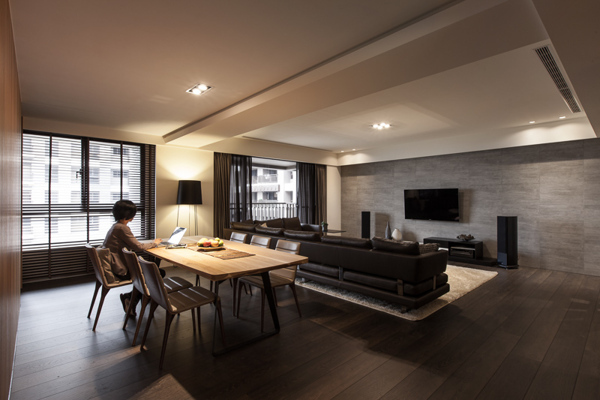 The basic idea behind the seats that offer a host of adjustment, tilting and swiveling options comes from Otto Bock Mobility Solutions, arguably the most renowned manufacturer of medical prosthetics worldwide. This results in more than twenty possible seating arrangements – a world record. 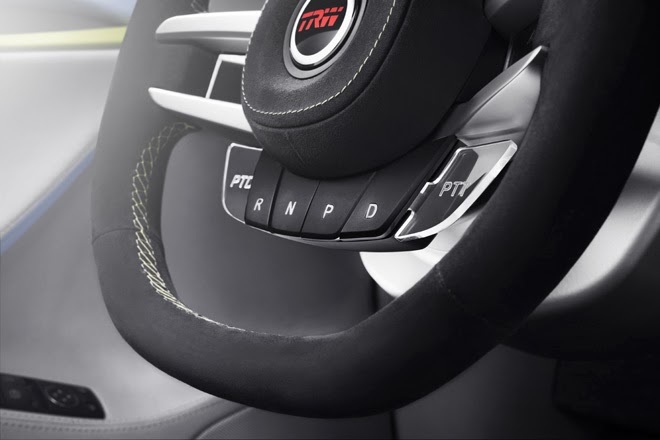 The futuristic TRW steering wheel with hands-on recognition, drive-mode-manager display in the rim and transparent multifunction keys with ambiance lighting can simply be “parked” in the middle of the instrument panel together with the innovative lightweight steering column with bionic design from Georg Fischer Automotive. This feat is made possible by the multi-redundant “steer-by-wire” technology developed by Swabian Company Paravan, similar to what can be found on modern jet aircraft. 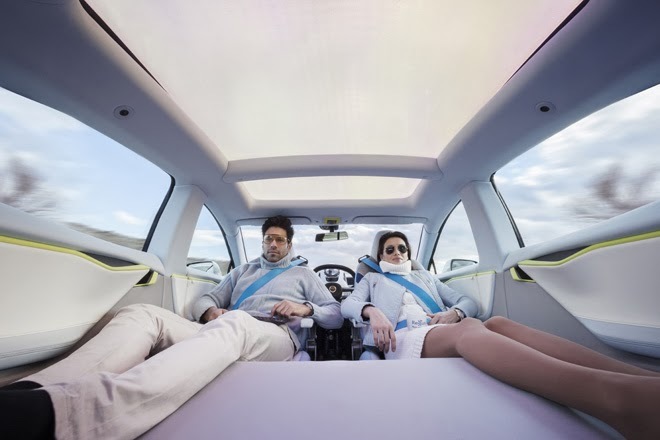 Passengers will be able to assume virtually any seating or resting position when traveling in a fully autonomous vehicle in the future, which will require a completely new operating and display concept. 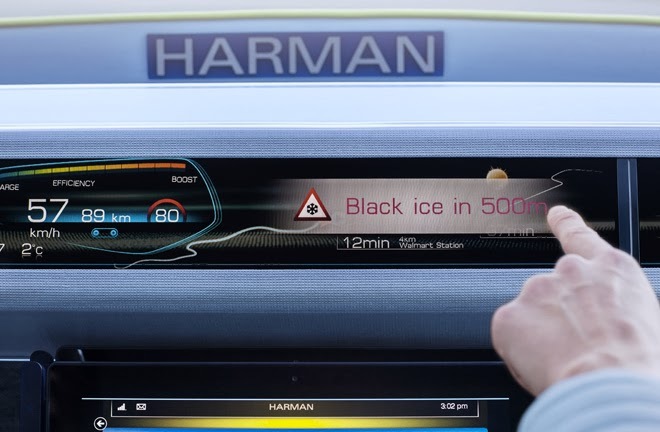 It is supplied by infotainment specialist Harman. 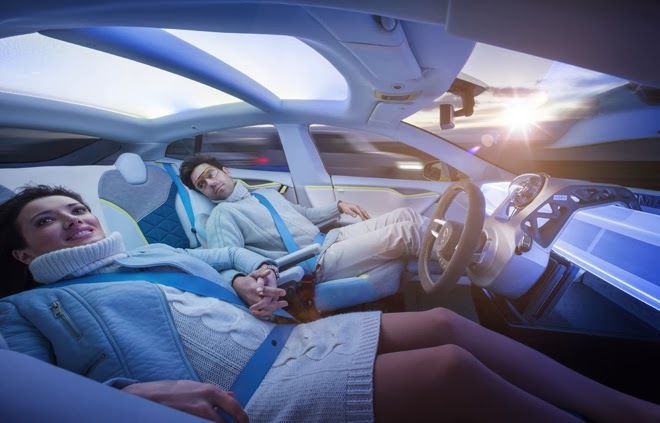 The new concept uses the manufacturer’s all-new next-generation scalable infotainment platform, which is based on HTML5 and provides comprehensive protection against hacker attacks. 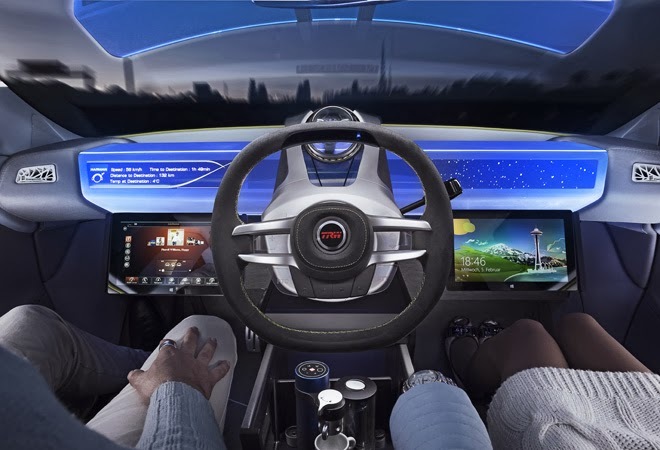 In the “XchangE” it offers numerous functions for navigation, entertainment, assistance and services that are displayed on a total of four screens. 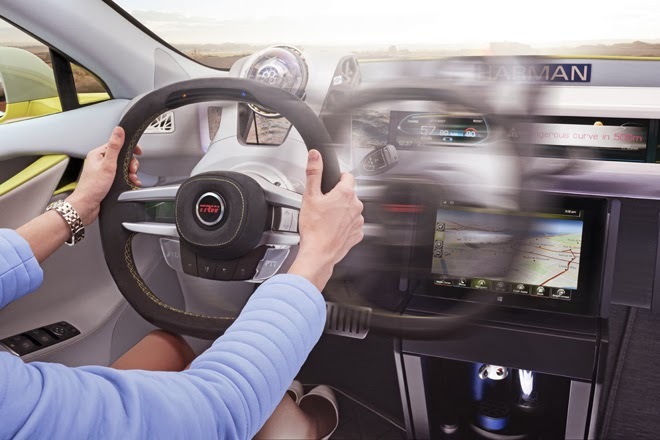 A 1.2-meter-wide display strip in the steering-wheel support provides important information in wide-screen format. A 32-inch 4K monitor in the rear transforms the “XchangE” into a highly comfortable on-demand UHD movie theatre on wheels. It is controlled with simple gestures. 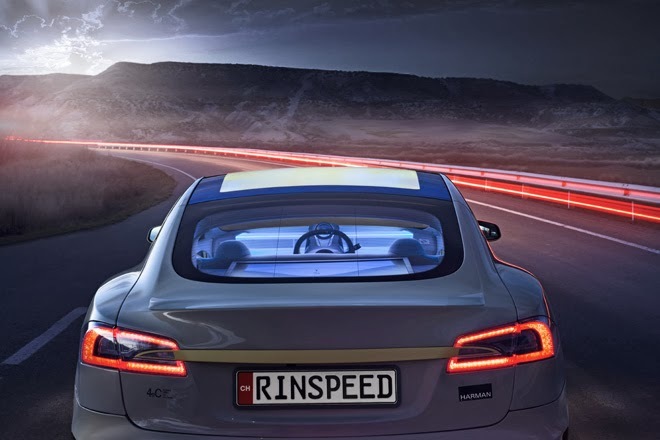 The XChangE would also have its own wireless 4G connection, which Rinspeed believes could be used to access cloud services such as warning messages or recommendations en route and driving profiles. An intelligent access control system that uses RFID technology to identify the authorized driver or drivers switches on the essential functions of the ‘XchangE’. 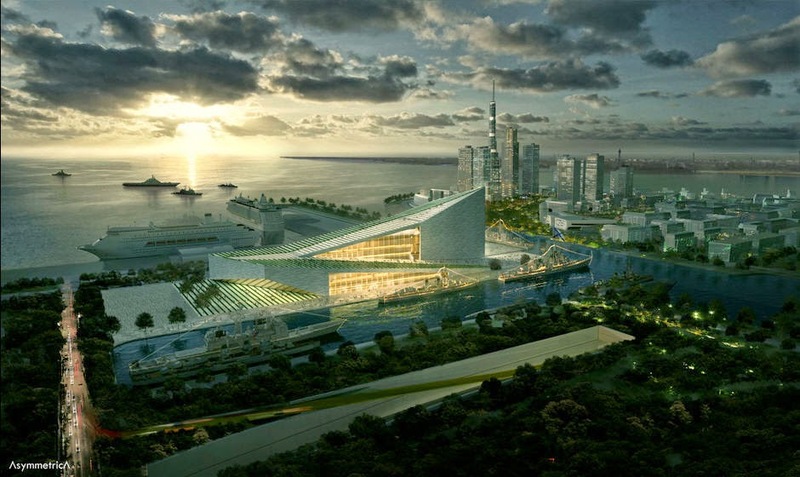 The high-tech plexiglas roof from Evonik Industries features a radiant surface coating and reflects all colors of the rainbow. 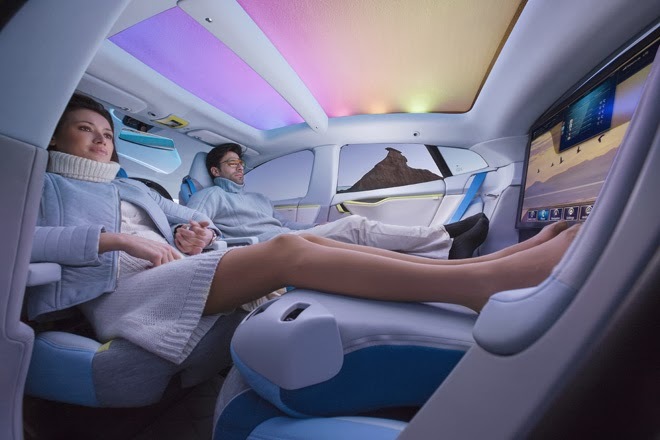 358 individually controlled LEDs in the ‘endlighten’ headliner and another 98 in the instrument panel create an individual feel-good atmosphere for traveling in comfort and at ease. 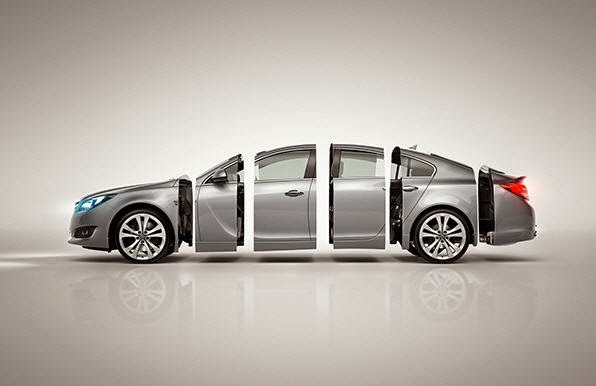 Numerous additional plexiglas elements in front and rear interior facade, rocker panels and rear spoiler, were created by refinement specialist Mansory. 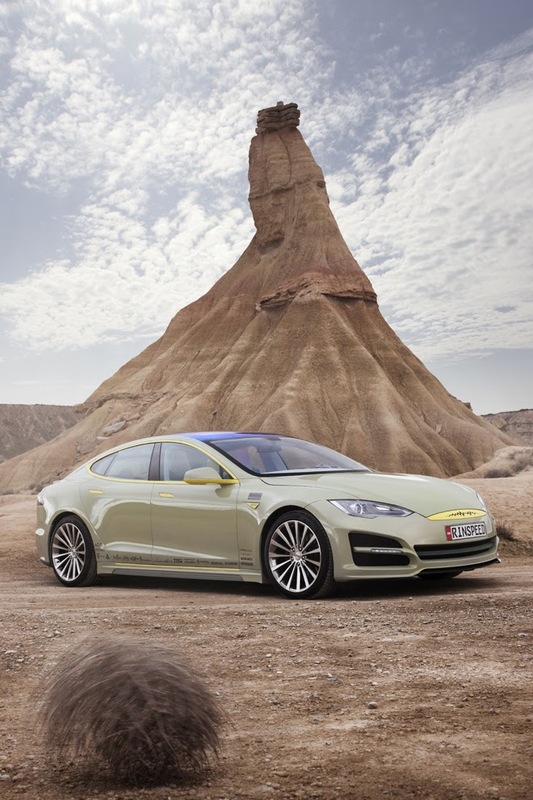 The Rinspeed XchangE Concept Car will be unveiled next month at the 2014 Geneva Motor Show.